Comprising of five of the best musical talents Cork has to offer, Blue Steel have been setting stages alight for some time now. Whether you are looking for a party, function or wedding band in Cork, we will not disappoint. 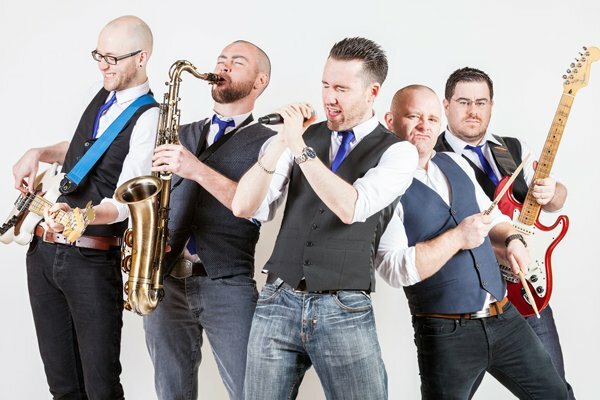 Covering countless styles and genres which can be tailored to suit any occasion, Blue Steel are exactly what you’re looking for when it comes to Weddings, Debs, Corporate Events and Pubs of all sizes. Catering for your specific tastes, from Rock and Pop to Funk and Soul, you can count on Blue Steel to make your special night an unforgettable party! Blue Steel Band are a five-piece band made up of Gavin, Mark, Dave and the two Brians. Based in Cork, they play throughout the city, county and Munster. The band specialize in playing weddings, corporate events and other social functions. To check availability and fees for Blue Steel for your wedding or event, simply complete the form below, and we will be in touch with a custom quote within 24 hours.